For anyone paying attention, it’s no secret there’s a lot of weird stuff going on in the oceans right now. We’ve got a monster El Nino looming in the Pacific. Ocean acidification is prompting hand wringing among oyster lovers. Migrating fish populations have caused tensions between countries over fishing rights. 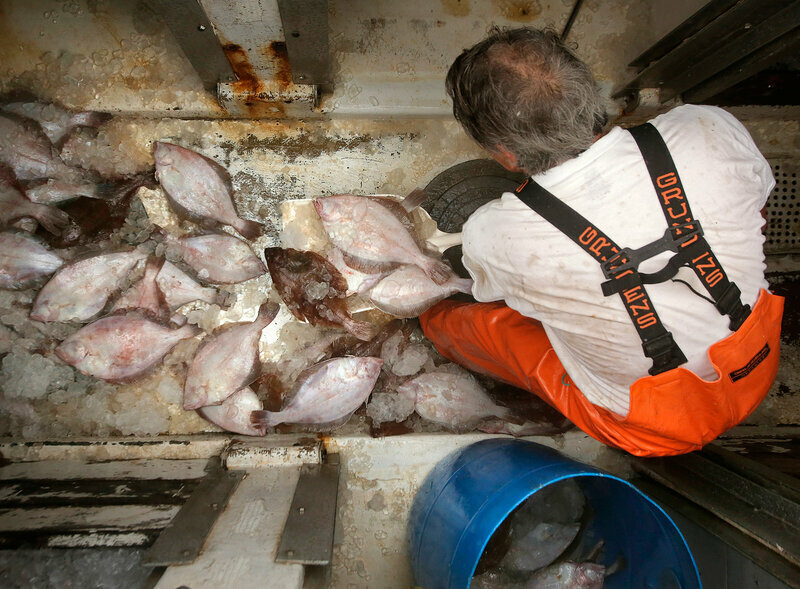 And fishermen say they’re seeing unusual patterns in fish stocks they haven’t seen before. Researchers now have more grim news to add to the mix. An analysis published Monday in the Proceedings of the National Academy of Sciences finds that the ability of fish populations to reproduce and replenish themselves is declining across the globe. “This, as far as we know, is the first global-scale study that documents the actual productivity of fish stocks is in decline,” says lead author Gregory L. Britten, a doctoral student at the University of California, Irvine. Britten and some fellow researchers looked at data from a global database of 262 commercial fish stocks in dozens of large marine ecosystems across the globe. They say they’ve identified a pattern of decline in juvenile fish (young fish that have not yet reached reproductive age) that is closely tied to a decline in the amount of phytoplankton, or microalgae, in the water. The worst news comes from the North Atlantic, where the vast majority of species, including Atlantic cod, European and American plaice, and sole are declining. In this case, Britten says historically heavy fishing may also play a role. Large fish, able to produce the biggest, most robust eggs, are harvested from the water. At the same time, documented declines of phytoplankton made it much more difficult for those fish stocks to bounce back when they did reproduce, despite aggressive fishery management efforts, says Britten. When the researchers looked at plankton and fish reproduction declines in individual ecosystems, the results varied. In the North Pacific — for example, the Gulf of Alaska — there were no significant declines. But in other regions of the world, like Australia and South America, it was clear that the lack of phytoplankton was the strongest driver in diminishing fish populations. And it’s directly linked to climate change: Change in ocean temperature affects the phytoplankton population, which is impacting fish stocks, he says.